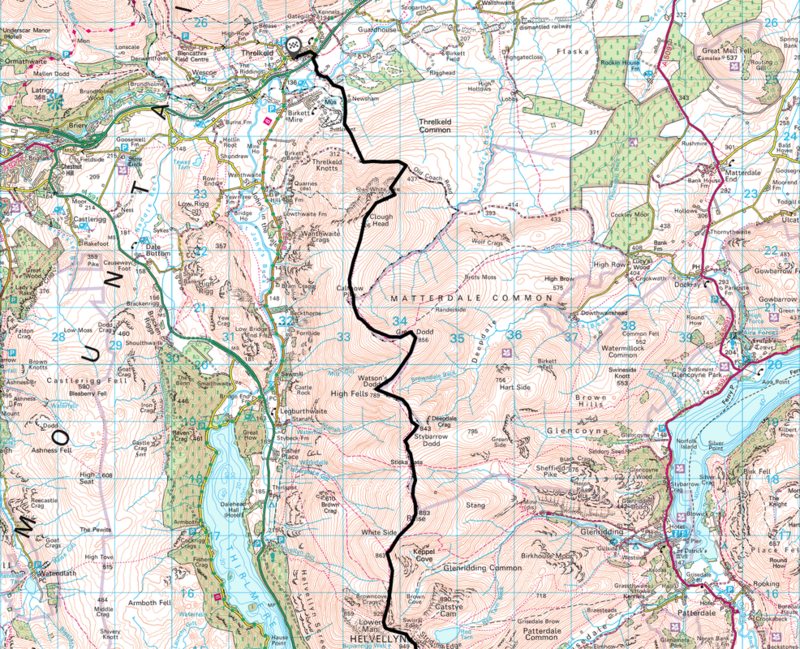 Generally good mountain paths throughout. 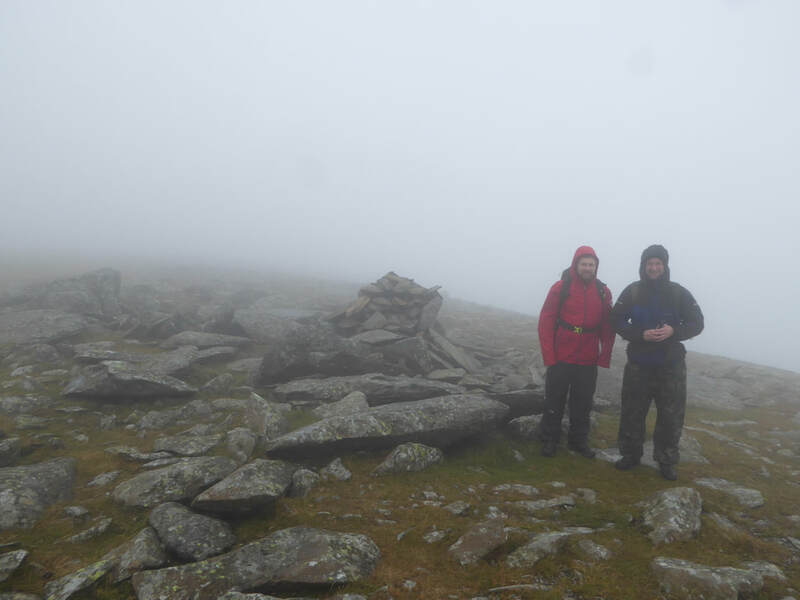 Fairfield is extremely confusing in mist therefore care needs to be taken when leaving the summit. The terrain from the Old Coach Road to Newsham Farm was mainly pathless and boggy. Awful. 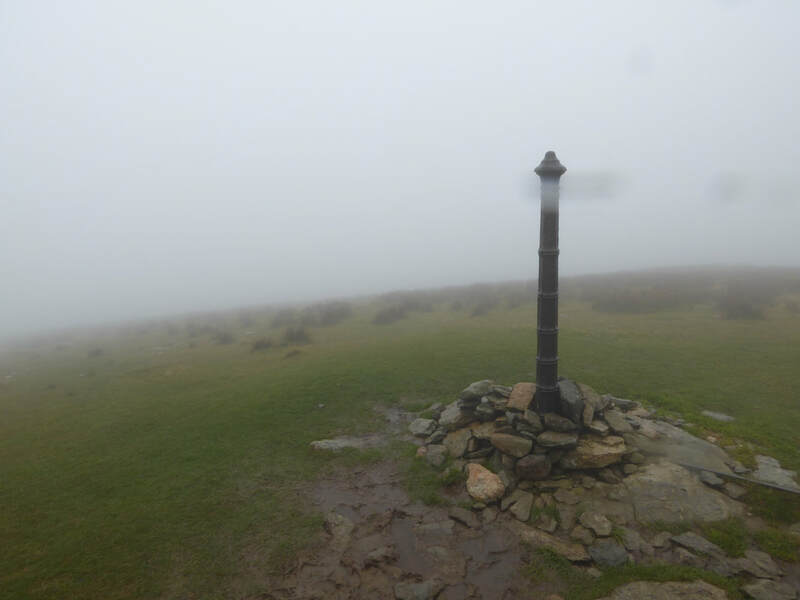 Rain and high winds for most of the day with low cloud and poor visibility. 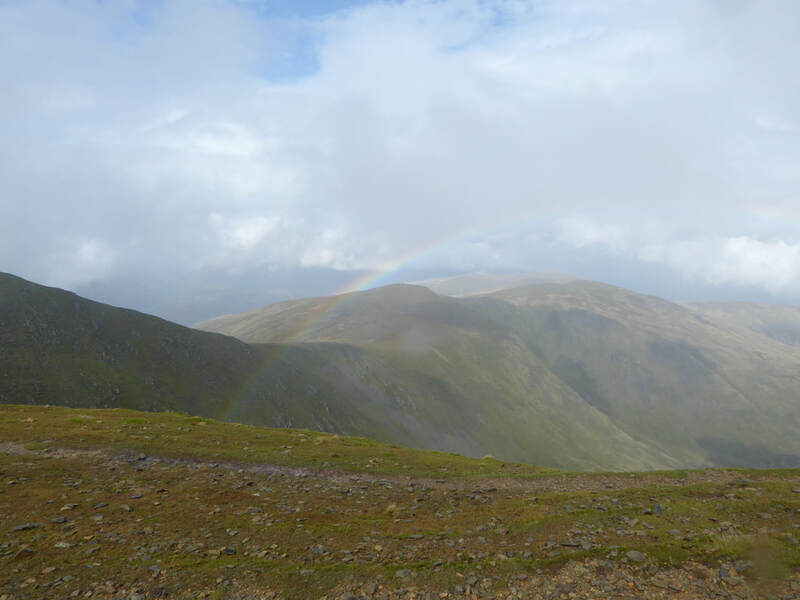 We had some respite from the low cloud and rain on Helvellyn but this was pretty short lived. 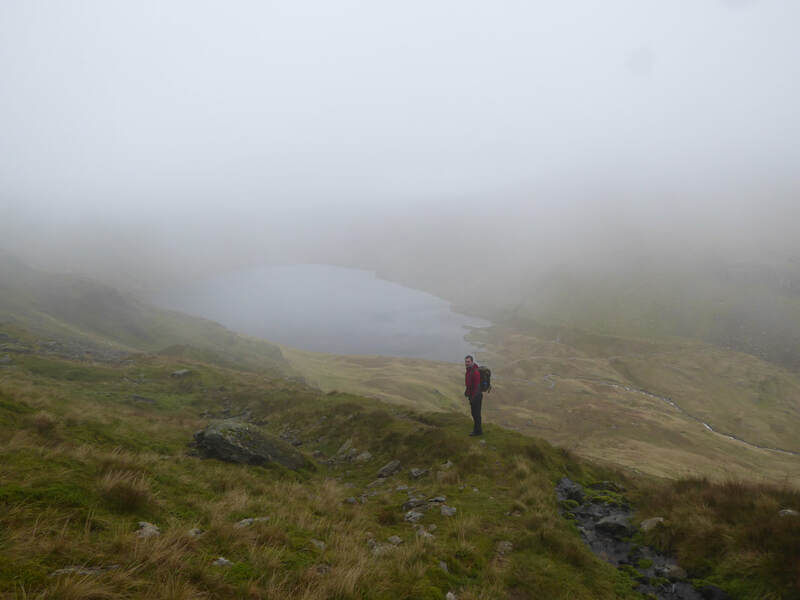 ​I rose from my slumber at 0400 (yes apparently there are two 4 o'clocks in the day) and despite being in bed for 2200 last night the alarm was still ringing in my ears as I wandered out into the pitch-blackness to walk Fudge. My poor dog looked at me in disbelief as we headed out - breaks in routine are something Fudge hates, especially ones that involve a 4 o'clock in the morning 'business' walk. 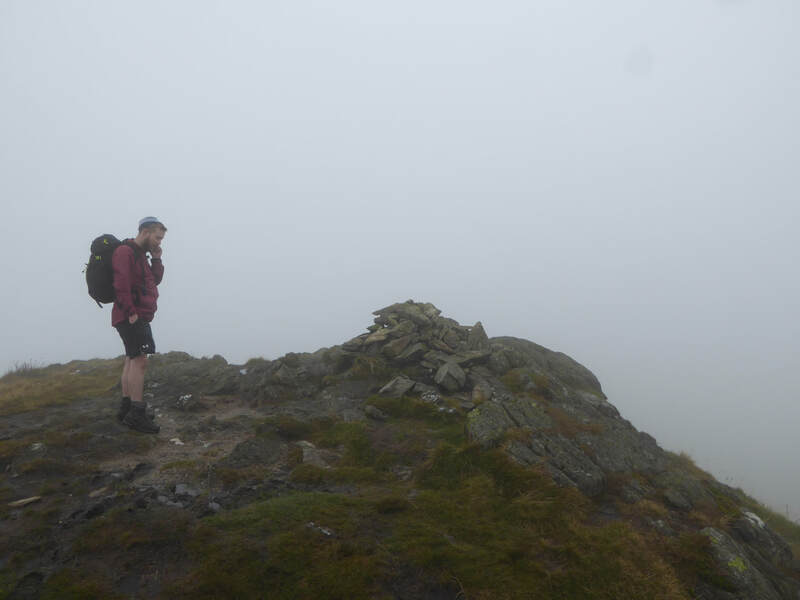 ​I was to meet my fellow walkers at 0630 in Ambleside and therefore approaching 0700 I was a tad worried I would be doing the walk on my own. However just after 0700 another 4 walkers turned up and after a quick photograph we were off. Heading out of Ambleside the route is straight into the uphill stuff immediately and we climbed the long road called "The Struggle" which would ordinarily pop you out by The Kirkstone Inn. 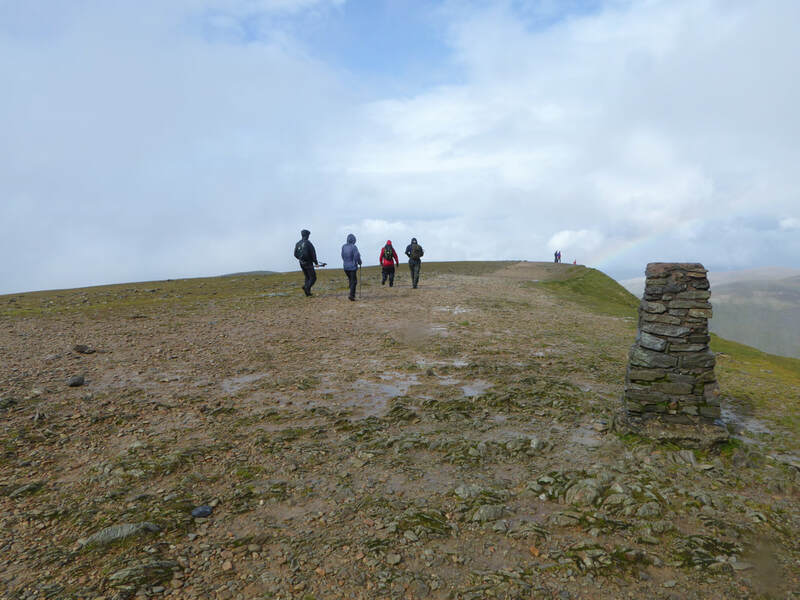 Today however we turned left off the road to join the popular footpath up to Red Screes via Snarker Pike - a delightful route up and not too much of a stiff gradient however today we had no views to speak of. 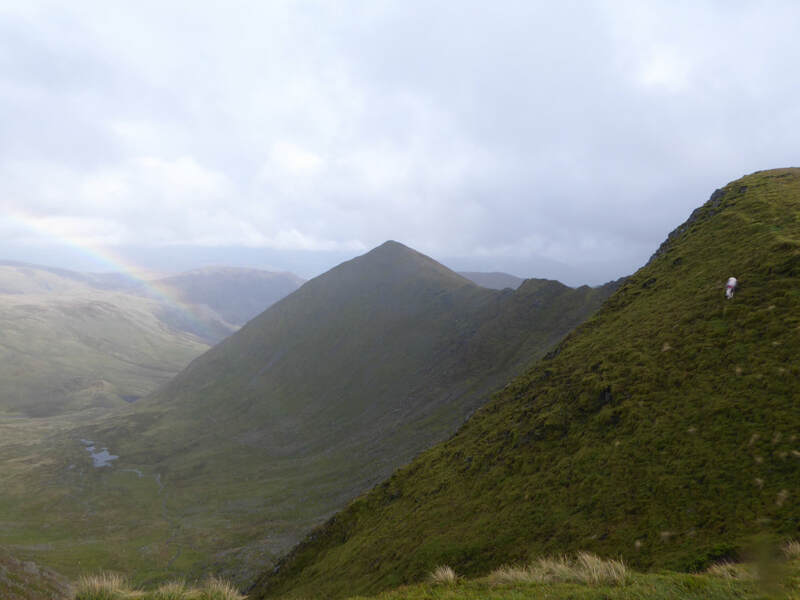 ​From near the summit of Red Screes we decided to split up as a group. 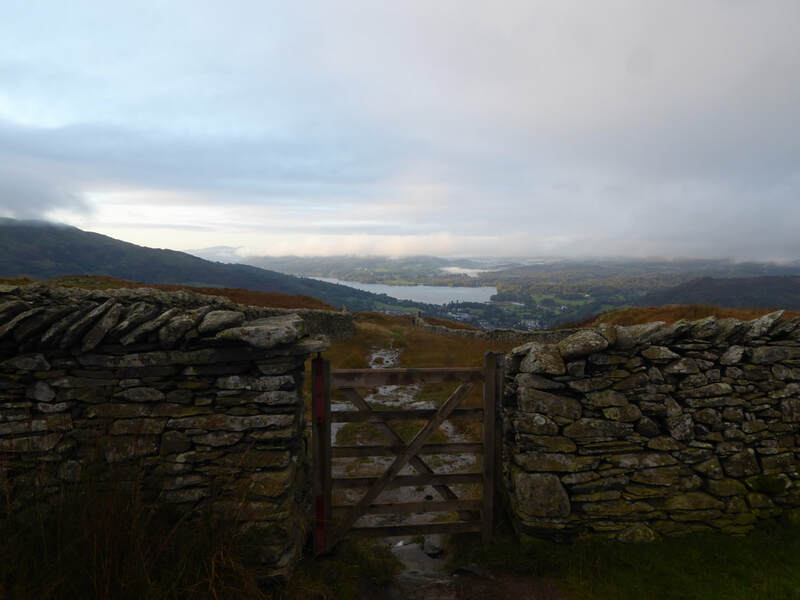 Carl had made the decision to abort as he had pulled a calf muscle and decided to head as far as Fairfield and then head down to the Travellers Rest near Grasmere. 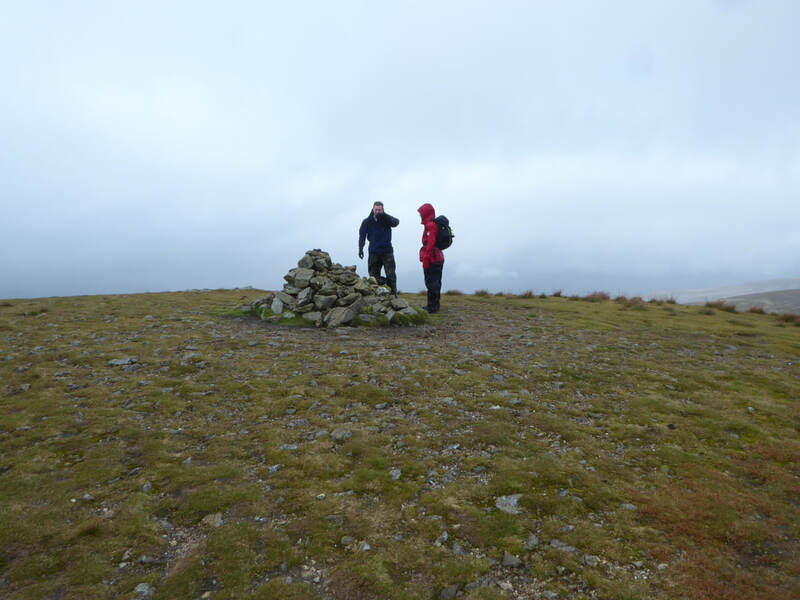 Alan would continue on his own therefore Tim, Phil and I bid them farewell and headed down to the Scandale Pass then on to Little Hart Crag. 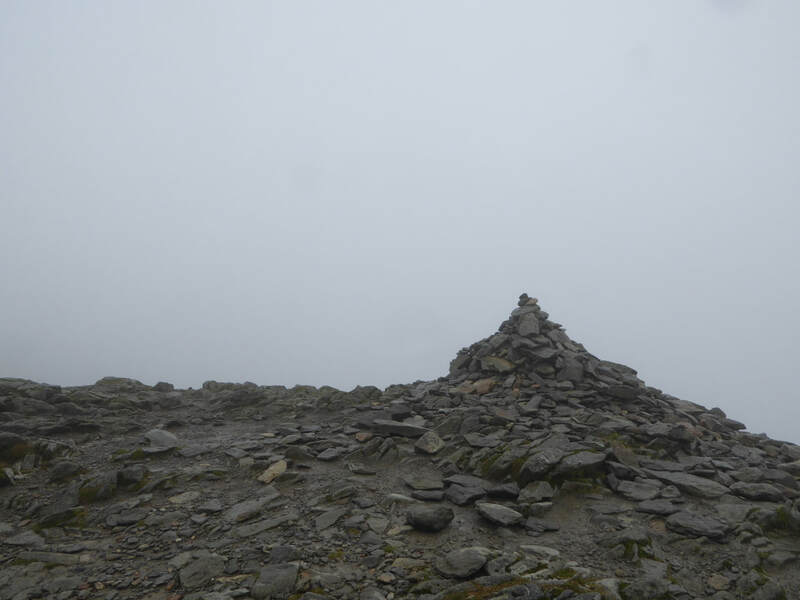 By this time the visibility was extremely poor and would remain so until Helvellyn - in the meantime the summits of Dove Crag, Hart Crag and Fairfield came and went. 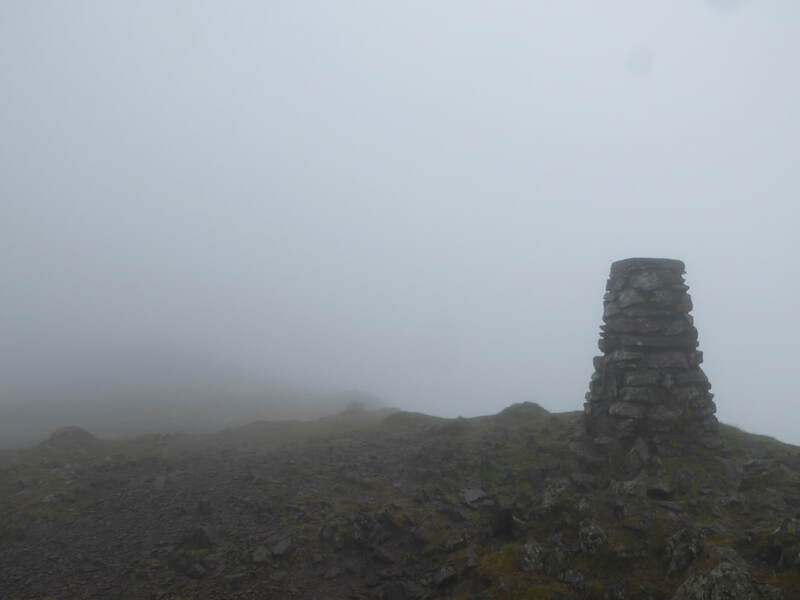 Fairfield in mist is a confusing place and requires careful navigation in order to get off the mountain in the right direction. 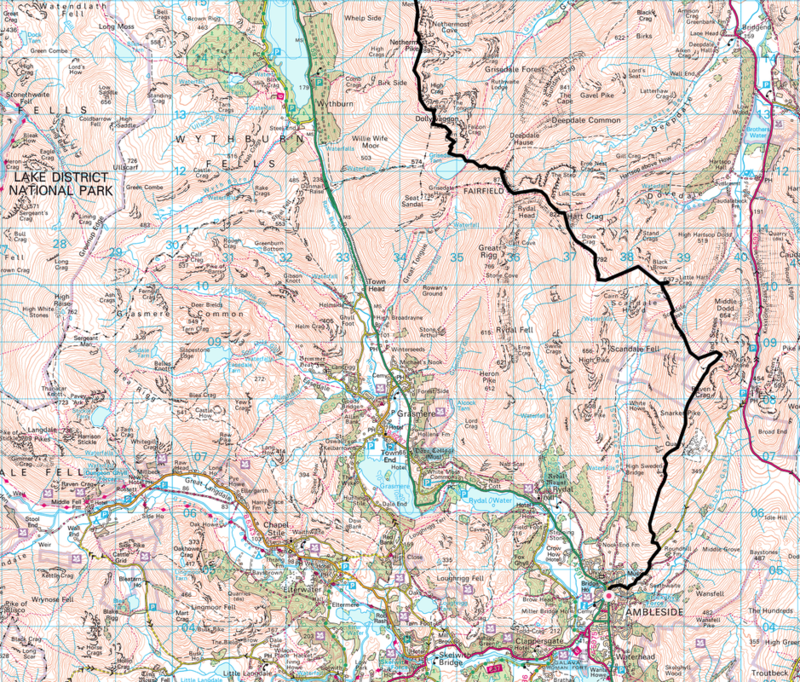 We could have descended 1 of 2 ways - via the route down to Grisedale Hause or the official route of the TSLC which was to head for Cofa Pike and pick a path up heading left in the col which dropped us at the eastern end of Grisedale Tarn. 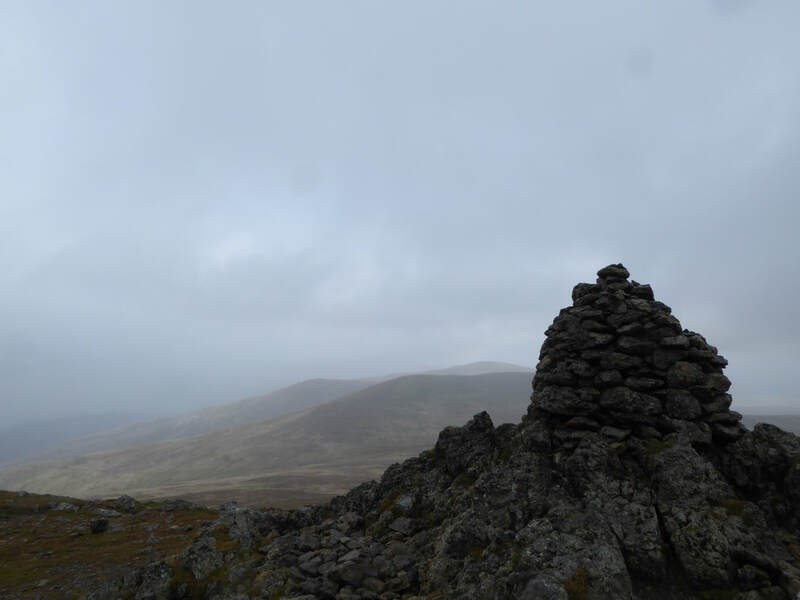 After a quick breather at the tarn we were off again, this time to Dollywagon Pike via the zig zag path up the fell from the south. 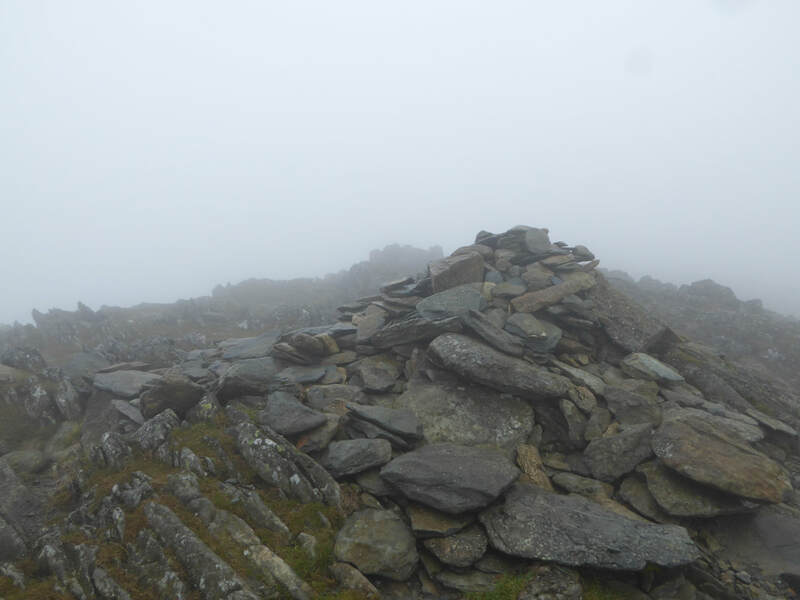 The zig zag path arrives at a post which I knew was not that far from the summit therefore we took a bearing from here and headed up to gain the summit cairn on Dollywagon. 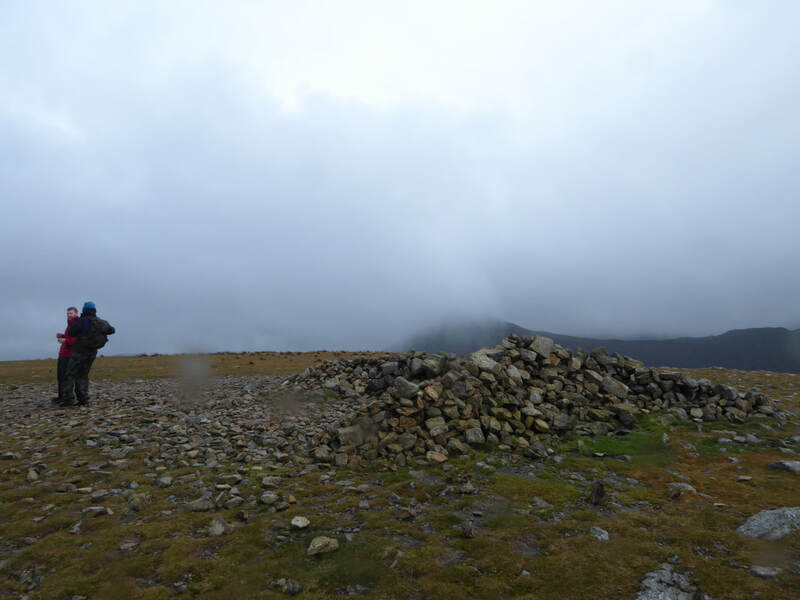 By now the visibility had reduced to less than 20 yards and we simply contoured around the escarpment to visit Nethermost Pike before dropping back down to regain the popular path to Helvellyn. 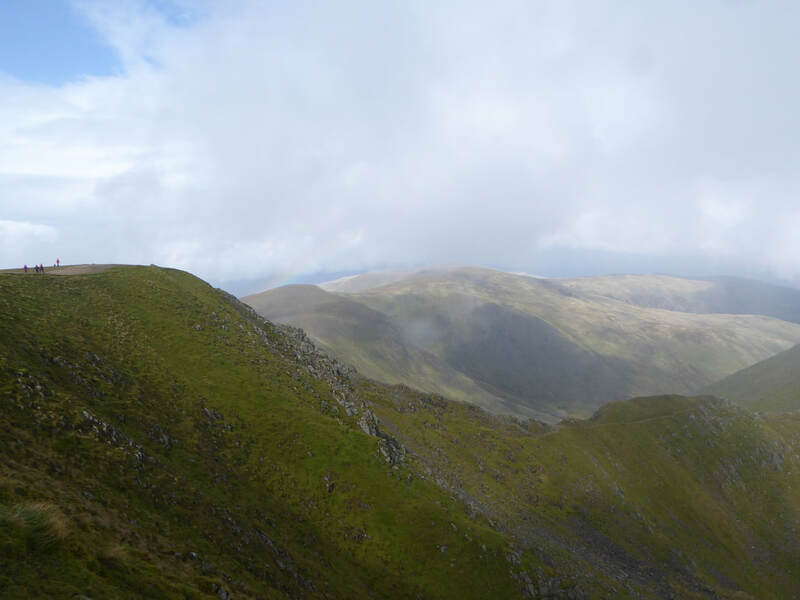 ​Arriving on Helvellyn the wind had picked up therefore we hunkered down in the cross shelter for a brew and chatted to various people - some of whom thought we were mad to be doing what we were doing. 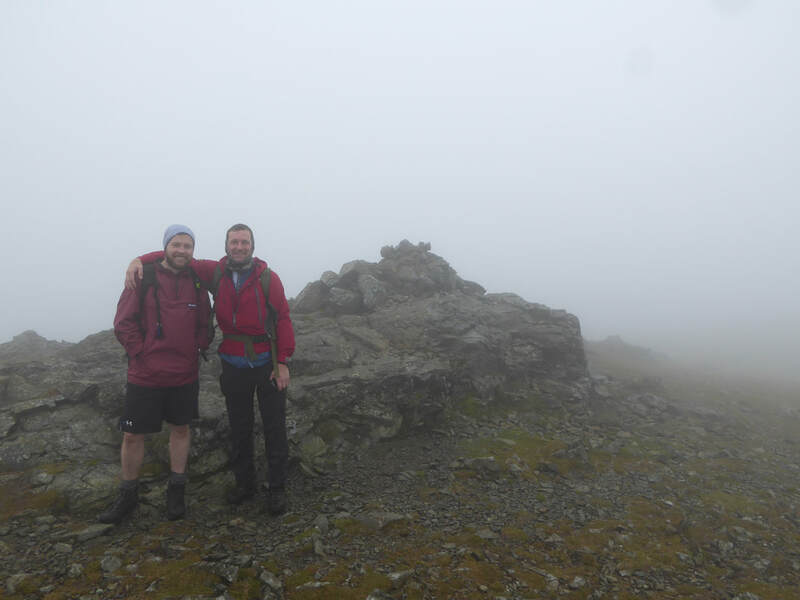 During these conversations the cloud cover suddenly disappeared and we were afforded views of not only the route ahead but also over to Catstycam & Swirral Edge. 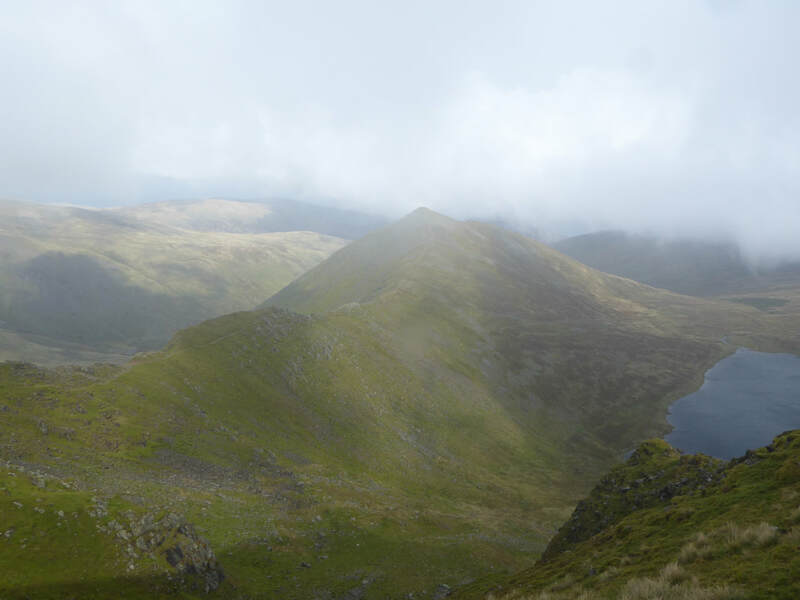 From Helvellyn's delightful summit ridge I knew that we would not have any really steep inclines until the short, sharp pull up to Clough Head from near Calfhow Pike. 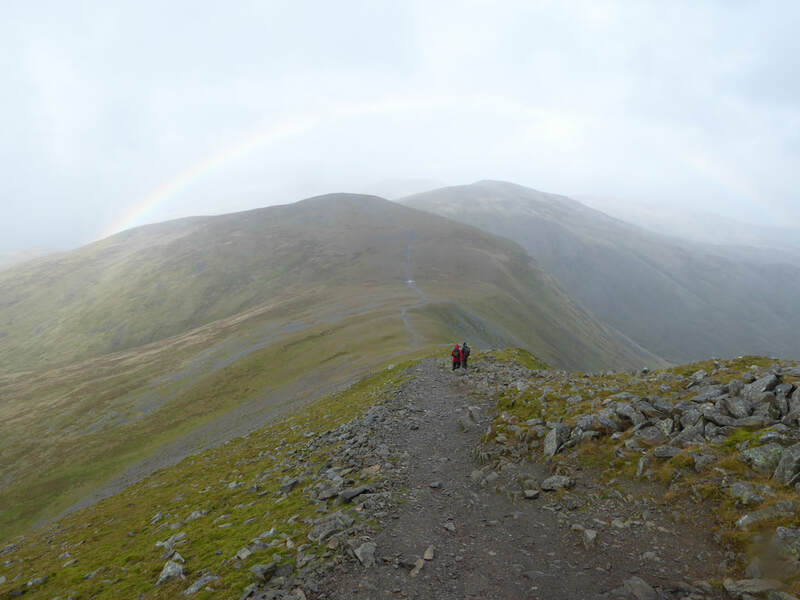 As it was we headed over White Side then to Raise to then drop down to the Sticks Pass to make our way on to The Dodds. 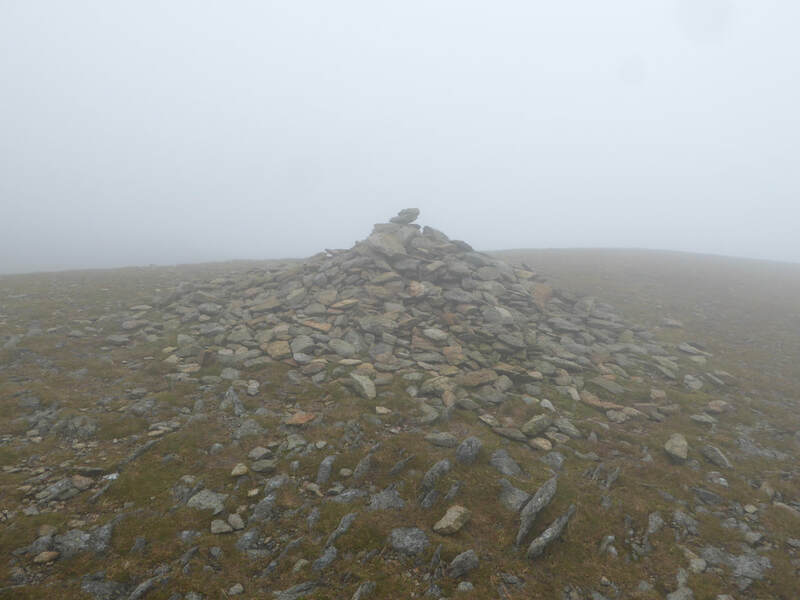 Since leaving Helvellyn we had not seen a soul and this continued, firstly to Stybarrow Dodd, Watson's Dodd and the gentle incline to Great Dodd. 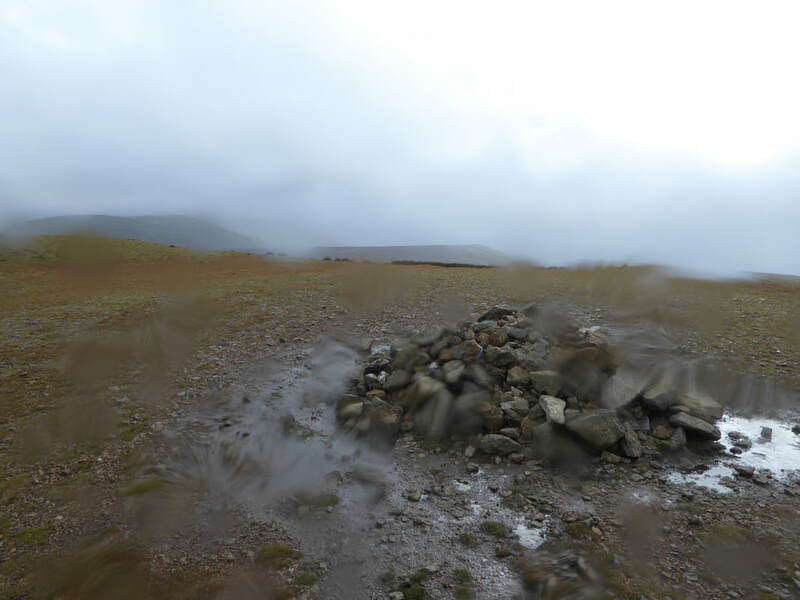 The visibility was continuing to hold but the drizzle persisted as we ascended Great Dodd to drop down to Calfhow Pike to then start the last climb of the day up to the summit of Clough Head. 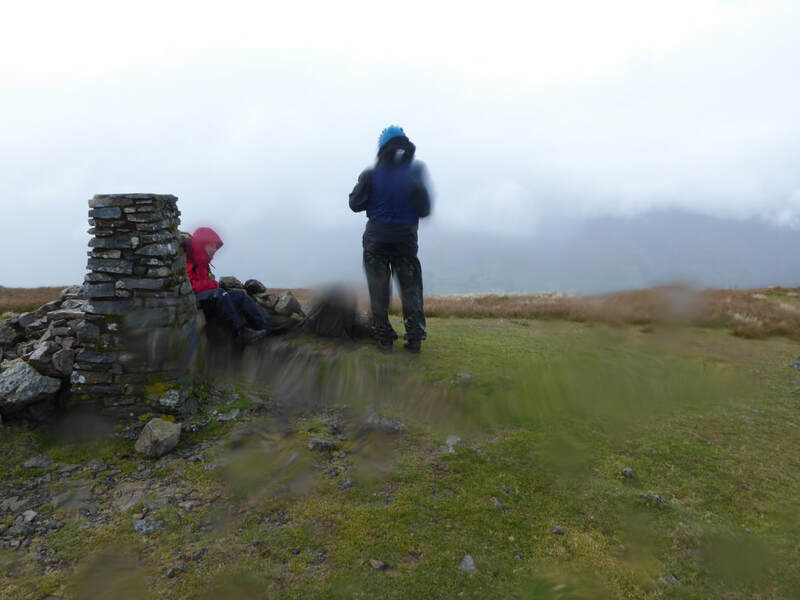 We could now see Threlkeld quite clearly from the summit however firstly we had to descend to White Pike and then to the Old Coach Road. We were now on firm ground but this was not to last long - leaving the Old Coach Road, the route heads into a boggy mess which we picked our way through to reach the farm at Newsham. 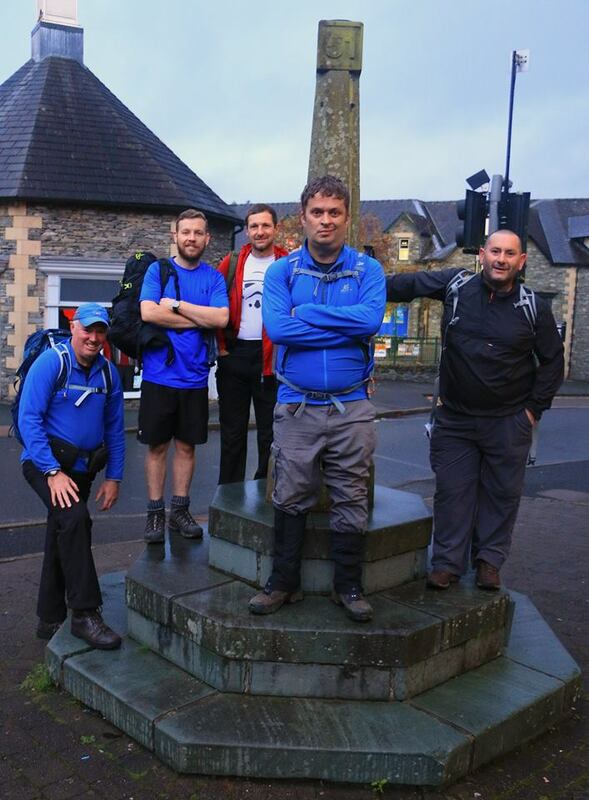 All we needed to do now was cross the A66 and walk into Threlkeld where we met Carl and Angie - a couple of beers later in The Horse & Farrier and we headed home in order to rest up for another tough day tomorrow. Hopefully we would be blessed with better weather than today. 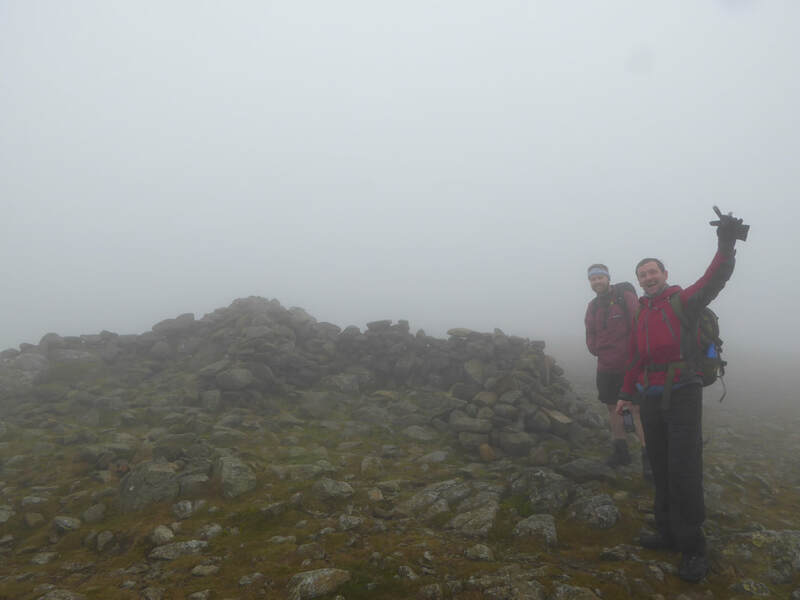 Nethermost Pike - are the views improving - I don't think so! 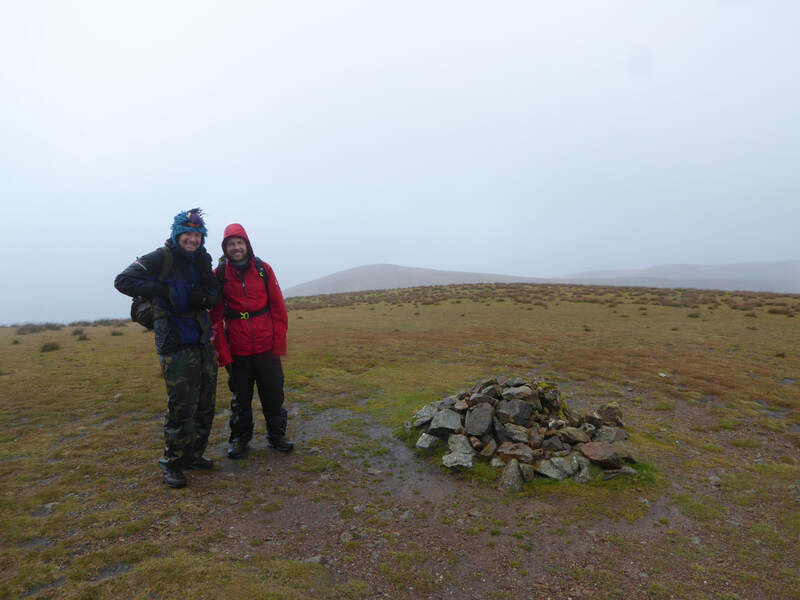 .... and on Clough Head too. The beer in the Horse & Farrier in Threlkeld was calling.